Workers’ compensation is an insurance-based program run by the state that covers employees from the first minute of their employment for on-the-job injuries, which can range from the minor to the extremely serious, including death. The law requires the employer to pay workers’ compensation benefits to employees to compensate them for work-related injuries or illnesses. The injury or illness can be related to a single specific event, such as falling and hurting your ​back, or repeated on-the-job exposure, such as losing your hearing due to constant loud noise. Regardless, the key is that the injury or illness is caused by your job. Fletcher B. Brown Law Firm, a knowledgeable and experienced San Francisco Bay area workers’ comp attorney, can help you understand any aspect of workers’ compensation law and assist you through the process of obtaining benefits. What are the types of benefits I am entitled to? (1) Reasonable and necessary medical care to cure, relieve and otherwise assist you in your recovery from a work-related injury, including doctor bills, medicines and crutches, hospital fees, lab tests, x-rays, and travel expenses for necessary medical treatment. (2) Tax-free temporary disability benefits to compensate you for lost wages during your recovery period and the time you are unable to perform your regular job in whole or in part. If you can’t work at all during this time, you will receive temporary total disability (TTD) benefits, and if you are able to work some, but less than your full schedule, you will receive wage-loss benefits. (3) Permanent partial disability (PPD) benefits to compensate you in the event you do not completely recover from your injury or illness, as determined by a doctor’s evaluation. (4) A vocational rehabilitation program which can provide supplemental job displacement benefits for education-related training or skill enhancement, in the event you are unable to recover from your injury or illness and can’t return to work for your employer. (5) Death benefits as determined by state law that are paid to your spouse or other dependents if you die from a work-related injury or illness. Temporary disability benefits are paid at a statutory percentage of the injured worker’s wages at the time the injury took place, subject to statutory minimums and maximums. Permanent disability benefits are fixed by ​statue and are determined based on your disability rating, date of injury and your wages before your injury occurred. Nobody wants to get hurt, especially at work! The initial pain of a workplace injury is quickly followed by uncertainty, frustration with the claims process, and substantial disruptions to everyday life (often including long-term disability or suffering). Worst of all, you’re enduring all of this because you’re working hard to earn a living. You dedicate your time, talent, and effort to your job, and you expect your workplace to be safe in return. California personal injury law requires employers to maintain safe working conditions for their employees. If they fail to do so, injured workers are entitled to financial compensation for their damages. 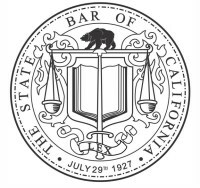 Most often, claims for damages are handled through California's Workers’ Compensation system, which provides certain benefits but also certain limitations for injured workers in our state. The claims process is very complicated, and it’s possible for employees to end up receiving less than they deserve without the help of an experienced California's workers’ compensation attorney. In some cases, injured workers may also be able to seek compensation outside of (or in addition to) the Workers’ Compensation system — either from their employer or from an additional third party. In these cases, the injury claims would be based on traditional personal injury grounds (similar to claims or lawsuits that happen when someone is not injured on the job). Of course, if you’ve been hurt in the workplace and aren’t sure what to do next, all of this talk about claims and compensation might seem a bit “pie in the sky.” You need to figure out your very next steps before you start to wade into the deep waters of California's Workers’ Compensation. We understand. At the Fletcher B. 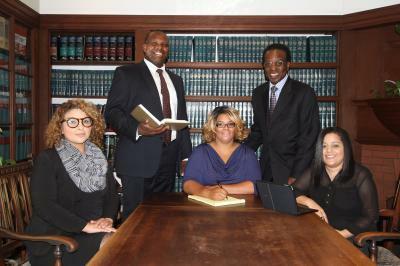 Brown Law Firm, we know how difficult workplace injuries can be. We also take your rights very seriously. Protecting those rights is a lot easier if you take the proper steps from day one, and that’s why we’ve put together this article, which features helpful hints for what to do after being hurt at work. While the following should provide some useful general information, please do not hesitate to contact a San Francisco Bay area (Oakland specifically) workers compensation attorney in our office to talk about your specific situation and learn more about your options. In California, Workers’ Compensation is handled by the California Industrial Commission. Employees have a responsibility to file a claim with the Commission soon after being hurt at work. Failure to do so in a timely manner can cause you to permanently lose your rights to compensation under the system. The workers’ compensation claims process can be very confusing and frustrating. Also, please remember and understand that there are important time limits that govern your ability to file a workers’ compensation claim. If you need help with filing a claim after being hurt at work or would like to speak to someone about the process of making a workers’ compensation claim please contact our office by calling toll-free (844) BROWN-4-U. Workplace injury victims often misunderstand their rights under California's Workers’ Compensation system. Claims are often unfairly reduced or denied because injured parties may not have realized what they are entitled to under the laws of North Carolina workers’ compensation system. Working with a San Francisco Bay Area personal injury attorney will ensure that you understand your case and your legal rights. Your lawyers can handle all of the complications for you, taking the headache and hassle out of your workers’ comp case. Your employer and their insurance company have lawyers working for them. Having an experienced workers’ compensation lawyer on your side can help you make sure that your rights are protected. At Fletcher B. 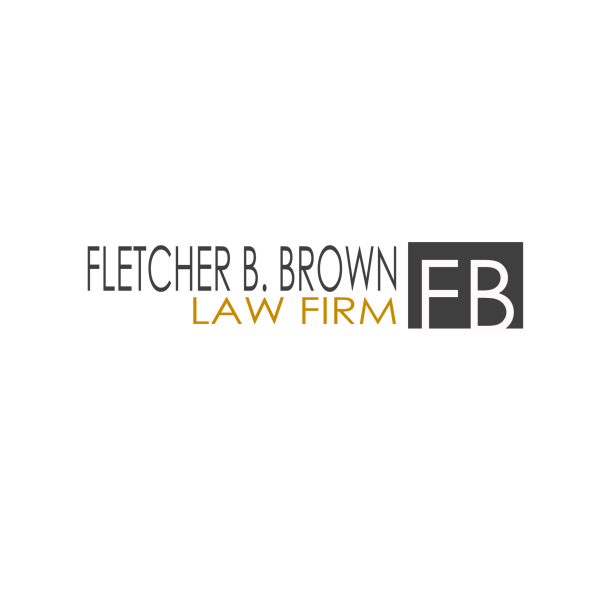 Brown Law Firm, our lawyer(s) work on a contingency fee basis, which means we will not charge attorney’s fees unless we recover compensation in your case. Because we don’t get paid until you get paid, we’ll fight hard to get you what you deserve. Additionally, we offer free consultations in person or over the phone to help you better understand your rights under California's workers’ compensation laws. Contact us for a free consultation today.